Planning Prom, Homecoming or other school dance can be a lot of pressure. You don’t want to disappoint the students, you have to be in class with them come Monday morning after all. It is important to do your research and make sure you have the best photo booth in Toledo. 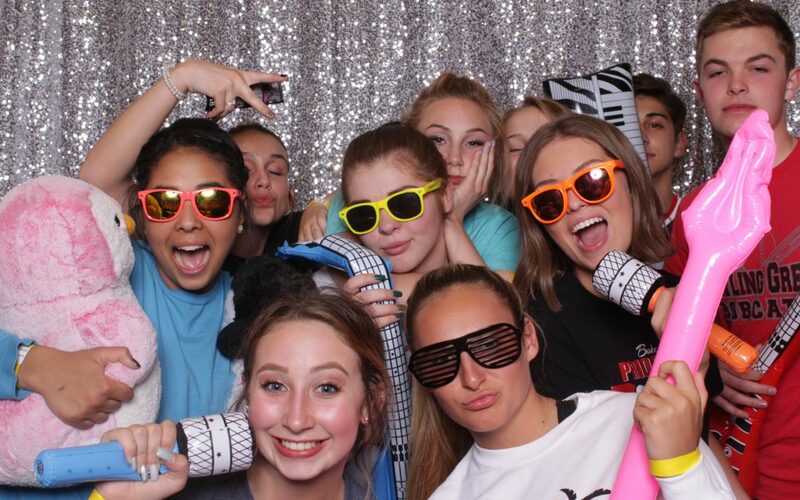 Our photo booth has a lot of options making it the perfect prom photo booth for you! We take pride in making sure our photo booth is the best with top notch technology, high quality pictures/prints and professional attendants that make sure everyone has fun! In addition to our experience in the photo booth business it self, we also have experience working with some of the areas schools. We have worked with Toledo Christian Schools for their homecoming, Bowling Green High School for After Prom and their Homecoming, Toledo School For The Arts Prom Photo Booth and more. Also you can check out more of our photo booth pictures here. As you can see in the above pictures the prints for your photo booth rental are customized. You will also see props included. High quality pictures/prints are included as well. Some other options that cost a little more are premium backdrops like the silver sequin one BGHS chose for their After Prom Photo Booth. Maybe your students want a famous singer at their dance so you can have us bring them in cardboard cutout form. Bottom line is we offer some great options to make sure the students at your school dance have a fun time. If you don’t see an option you are looking for then let us know. We enjoy helping you achieve the fun you are looking for. These schools and more are booking us year after year because they love working with us. We love working with them and are excited to provide entertainment for their students each year. Today is a good day to book your photo booth for your upcoming school dance. Contact us today so we can lock in your photo booth today!